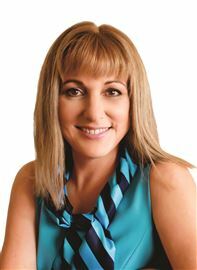 Passionate about delivering exceptional service to her clients, Tamsin moved from a background of nursing and business ownership, into Real Estate in 2008. Successfully selling in Eastbourne for 9 years, consistently placed in the Wellington Regions Top 20 and a top performer within Team Group. 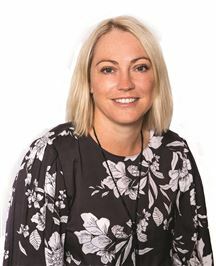 Having achieved 75 Million in settled sales, she took up the role as Harcourts Group Academy Trainer from January 2018 to May 2018, working with both experienced and newly qualified sales consultants. A recent opportunity to manage the team in Lower Hutt has seen Tamsin transition back out into the field so she can work directly alongside sales consultants, helping them to grow and maximise their own real estate businesses. Annie has started her new career in Harcourt’s after a successful 10 years selling Tupperware, During which time of course, I spent much of my time in other people’s homes. Homes have always fascinated her and so it feels just right to be entering into the real estate industry. More recently Annie was engaged in contract work in an administration field with NZ Transport Agency and although enjoyed the work, the sales arena is where she feels most comfortable. “I look forward to being of assistance to many people in their efforts to buy and sell their properties and you can be assured that I will give 100% in real estate as in my other ventures”. Testimonial “Annie Law worked for me for over two years in an administrative support role. During that time she proved herself to be reliable and dependable. When she says she will do something, she does it quickly and efficiently. She is honest and ethical and holds herself to very high standards when dealing with both people and the organisational needs. I am sure she will be successful in this venture and she has the people skills and the energy to go far. For a thorough and conscientious service, call Annie today to discuss your needs. Having moved to The Hutt Valley from the UK in 2009, Barney comes from a family of real estates agents, with his late Father a prominent figure in both Ireland and London, his Sister is involved in Real estate in the South of France, his Brother in Spain, his Daughter is a Real Estate Agent in London whilst his Wife, Kate Shiels-Reddin is a leader in the field of property management in the Wellington region. A Direct Marketing Specialist with over 20 years Sales and Marketing experience, gained after an initial 13 years in the Hospitality industry, Barney is a believer in delivering excellent customer service, outstanding results and satisfied customers. An award winner in both London and now in New Zealand, Barney has specialised in delivering unique and effective marketing as well as communication strategies to a wide range of clients and regardless of the size of the client or the fiscal rewards, he always ensures that the relevant message is delivered in a meaningful format. 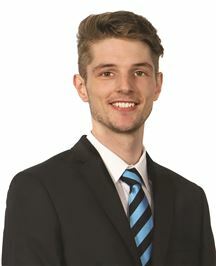 Barney looks forward to discussing your specific needs with you and exploring the best ways to get you the best result possible by utilising his skills in print, on-line and social media marketing as well as the considerable list of buyers and investors that we have at Harcourts. 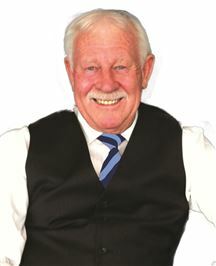 Bill has been involved in Real Estate and Property Management in both a full-time and part-time capacity since joining Harcourts, Lower Hutt as a salesperson in 1992 - Not many in the industry today can claim that pedigree. This represents a wealth of experience which encompasses the many changes, especially in compliance, since the inception of the Real Estate Agents Act 2009. Familiar in all the Hutt suburbs, Bill has sold Lower Hutt properties in all areas from Petone to Stokes Valley including the Western Hills as well as in Greater Wellington. He firmly believes The Hutt Valley offers excellent value for money and has properties to suit all requirements, tastes and income levels . With a natural ability to express clear, concise communication, Bill works closely with both Vendors and Purchasers to ensure a smooth transition through the entire Real Estate selling process from the initial signing of the contract, through to settlement and beyond, this professionalism, he feels, is the minimum you should expect when either buying or selling what is usually your most valuable asset. It’s nearly three years since Darryl moved to Wellington. His desire for Real Estate and needing a new challenge, lead to Darryl’s appointment as Auctioneer for Team Group Realty Limited in the Wellington Region. Working across the diverse markets of Wellington City, Hutt Valley, and Eastbourne, the auction numbers have quickly increased within the company. The challenge is to keep increasing these numbers to transparently show the benefits that this process has for both buyers and sellers who both ultimately, end up with a win/win result. Darryl began working in Real Estate in 1989 and has been an Auctioneer for the last fourteen years. He has his ARIENZ status and has wide experiences in both sales and various management positions. Continued training and education is the key to any business. Darryl looks forward to the two auction competitions each year, by continually competing against the best in the business “I’m honing in my Auctioneering skills” he says. “As a better Auctioneer, I’m able to assist sales people to achieve the most stunning results for their clients”. A name associated with success in Real Estate for the past 7 years and a trusted, respected professional with an excellent reputation for achieving outstanding results. 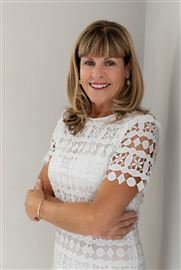 Debbie offers her clients extensive experience in the property industry, excellent communication skills and a firm commitment to achieving exceptional results for her clients. After dealing with multiple agents over the years Debbie knows what it takes to make a great one. She truly believes that you need to be able to talk honestly and openly with your agent, there is no point having a salesperson that simply tells you what you want to hear. Debbie is here to work with you though your entire property transaction, giving you honest advice and realistic expectations about your property, based on years of personal experience. Debbie derives enormous satisfaction from the many referrals and recommendations from past clients and enjoys a high percentage of repeat business. Debbie says - "Although every client and every person is different, everyone deserves to be treated with quality, consistency and care. No matter what level of the market you are buying or selling in, be assured that I will look after you every step of the way." If you are looking for an agent who goes the extra mile, is passionate about real estate and looking after her clients, please give Debbie a call. 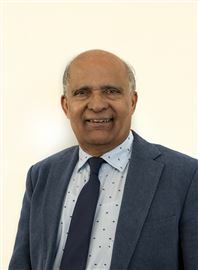 There aren’t too many people in Lower Hutt who don’t know Hamish Gandhi. He has lived and worked in the Hutt Valley for over 33 years and ran the very successful Taita 4 square for over 24 years. Married with two grown children this very proud father believes strongly in family and community, so when he finally gave up the shop and decided he could still provide a service to the people of his beloved Lower Hutt he joined Harcourt’s. Hamish joined Harcourt’s because of the great name that Harcourt’s has across the region and the country. The appeal of the Harcourt’s network, their processes and the way in which they operate a consultative approach to real estate mirrored Hamish’s own way of working. A property developer himself Hamish knows the importance of marketing a property to its best ability and how to find the right buyer. With an extensive network of buyers Hamish always seems to be the right man in the right place at the right time. A passionate sportsman Hamish has long resigned to the fact that he is a better supporter than he is player, as a result he is an avid All Blacks supporter, even if he doesn’t always understand the ruling. Hamish is deeply involved in his local community and believes there is a lot of potential in Lower Hutt and one of the few places you can still get value for money and with his local knowledge he should know. Karen came into real estate after successfully running her own antiques business... a passion for all things beautiful and unique. For eighteen years now she has been giving out advice to vendors about presentation in the home, creative with property advertising and forever changing and keeping the home she is marketing “alive”. Karen is extremely focussed and knows what is needed to get the best price, the best method of selling at the time of listing, mindful of market conditions and adapting quickly to change. She enjoys the feedback from her clients and has some outstanding testimonials of which she is immensely proud of... proof that she is doing things right. She currently ranks in the top 5% of Harcourt's Sales Consultants nationally which clearly displays to all potential clients her outstanding ability and success. Passion, enthusiasm and determination is what drives Karen to be the agent she is today. Being a young professional in the industry means that Mey knows that we are a fast paced generation and everything will be viewed on-the-go. To maximise exposure of your property to this generation Mey will ensure that the marketing of your home is quick and attention grabbing and gets you the best result… every time.. Throughout her previous work experience in retail sales and customer service, Mey has developed great negotiation skills and created meaningful relationships with store buyers and customers. Rest assured that Mey will bring and utilise these skills for your real estate needs and wants. Mey is of Khmer and Teochew descent, a diversity that has allowed her to build a wide range of relationships with the potential of introducing your home to a wider range of prospective buyers. If you are wanting an agent with a professional, consultative approach who will listen carefully and deliver results and campaigns tailored specifically to your needs … give Mey a call! Peter has a background in engineering, including work in land stability, and has had many years involved in land information. Peter works with his wife Annie, focusing on technical activities. Rata Street - Home and Income! Taita's Top Buy - Be Quick! One Out Of The Box Here!! It's Just So Darn Cute! First Home Buyers Must See! Be Speedy for this Bargain! Nest or Invest: You Win! Bay Beckons Owners - You Win! It's Just a Good One! The 'E' is for Excellent! Ready, set... go to Petone! Motivated Owners Say Sell !!! Relax, Just Enjoy The View! Your Search Could Be Over!